Allan Quatermain, a professional big game hunter, is approached by English aristocrat Sir Henry Curtis and his friend, Captain John Good, late of the Royal Navy. They need his help finding Sir Henry's brother, who was last seen traveling north into the unexplored interior in search of the fabled King Solomon's Mines. On their perilous journey, they encounter such characters as the evil witch-woman, Gagool, and the terrifying King Twala and his mighty army. 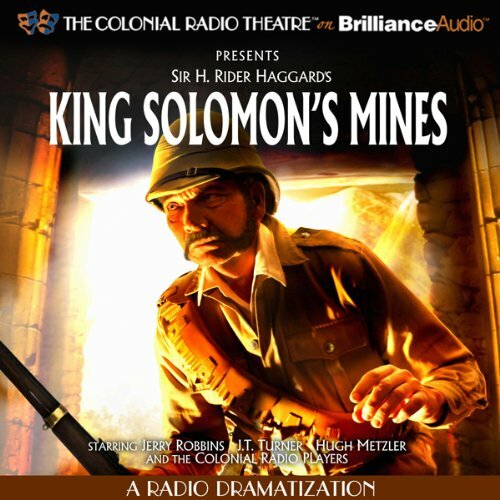 The award winning Colonial Radio Theatre on the Air brings this classic tale to life with a full cast, music score, and thousands of sound effects.